We all know that in today's real estate market in Lincoln, Nebraska that the competition is high. No doubt, we are in a price war and a beauty pageant! So in order to get your home sold quickly and for the most amount of money, you need (along with the right price) to have your home to show its best. Well, the other day I came across a very simple to understand but very helpful article from Lowe's that I would like to share with you. 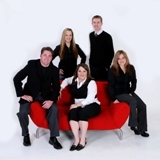 Of course be sure to call The Korn Team at RE/MAX Real Estate Concepts first! We provide a free staging consult by a professional stager for all of our listing clients!